There is no room for bed bugs with this anti bed bug box spring encasement! Entomologist tested effective, SecureSleep™ box spring encasement with our patent pending technology and micro-zipper closure, is impermeable to stop the penetration of bed bugs in fabric. Make sure to protect your box spring from bed bug infestation by using our premium bed bug proof box spring covers. 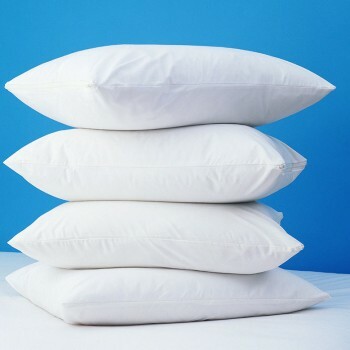 It’s a necessary part of any bed bug prevention plan. If you already have bed bugs, it’s a critical part of a comprehensive pest management plan. 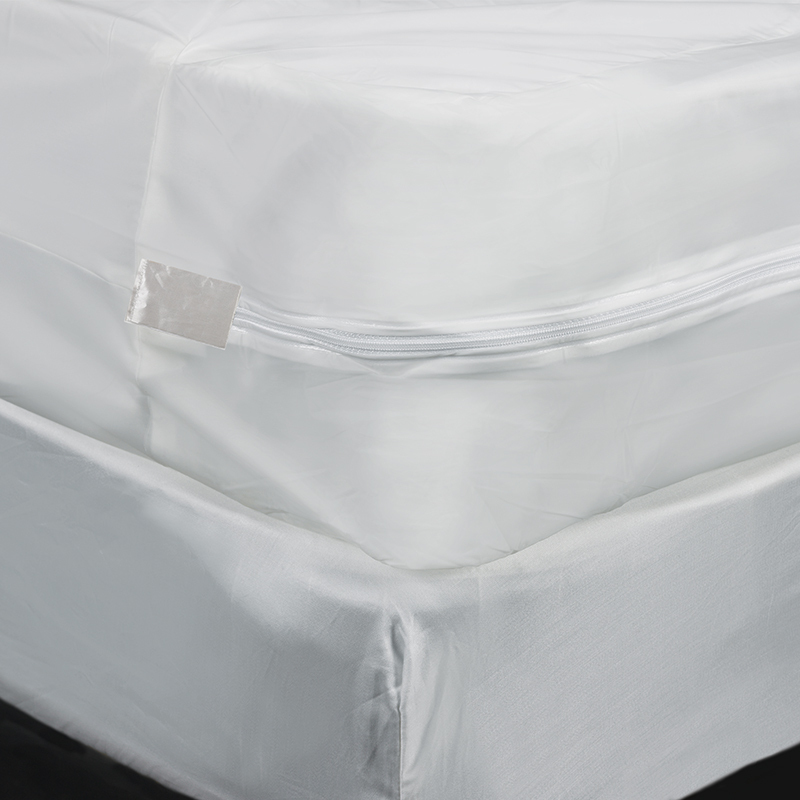 Bed bugs simply cannot transit in or out when you use our top quality SecureSleep™ box spring cover! 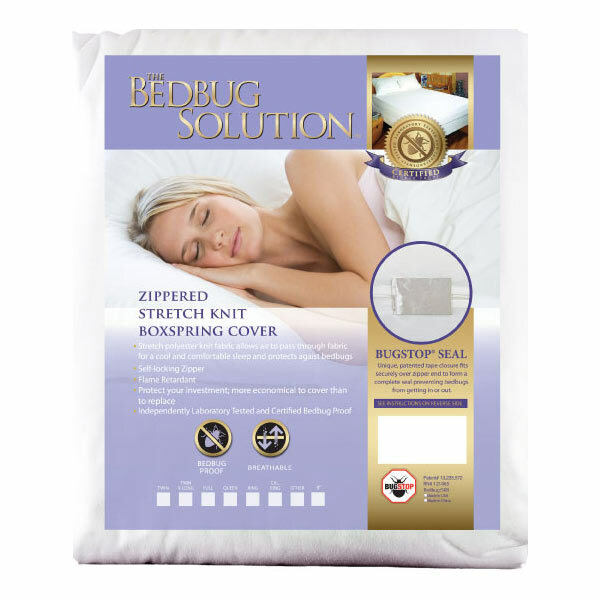 This easy to install anti-bed bug box spring protector is entomologist tested and employs outstanding features like scientifically designed and patent pending Zip Tech™ zipper technology, with 3-way protection and re-enforced seams. Our box spring covers are the same high quality found in our mattress protections — unlike some manufacturers who lower the production values, drastically reducing the life of the product. Also, unlike some products which just covers the top of the box spring, leaving the rest exposed, SecureSleep™ box spring protection fully encases your box spring from top to bottom, and has a re-enforced interior lining, making sure it is long-lasting and durable, especially on the rigid corners of most box springs, where other covers of lesser quality wear out quickly, rendering your bed bug protection ineffective. 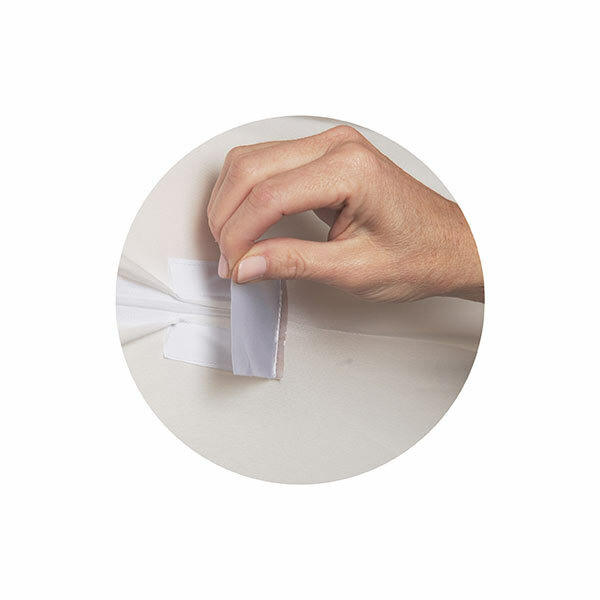 Also, there are no pesticides used in our box spring protectors, providing you and your family with a safe, healthy and secure sleep environment. Why Protect Your Box Springs Before You Have Bed Bugs? Box Springs are one of the most vulnerable places in your bedding, allowing easy access to bed bugs. Bed bugs feed on blood, and look for their blood meal at night, while you and your family are sleeping. Bed bugs are very smart and mobile, hiding in cracks the floor, behind picture frames, in mattress seams, and most commonly, inside your box spring. Once they determine their blood meal is close by, out they come! Covering your box springs with our SecureSleep™ protector (and when used with our mattress) will prevent bed bugs from taking root in your bedding, and will keep you and your family safe and secure while protecting your valuable bedding investment. Why Use Box Spring Protection After You Have Bed Bugs? Once it’s confirmed that you indeed have a bed bug infestation, you need to take critical actions to resolve the problem quickly. Enlist an experienced professional pest control company and follow their instructions, which should include covering your bedding with SecureSleep™ mattress, box spring and pillow protectors. Bed bugs will be locked inside and unable to escape, keeping them from multiplying and feeding on you and your family. Once your bedding is protected with our anti-bed bug encasements, you can continue to use it in complete comfort and security. Dust mites are a major source of allergy triggers in humans. These microscopic insects live deep inside your mattresses, box springs, pillows and other bedding and can cause allergic reactions ranging from mild runny noses and sneezing to serious congestion, eczema, asthma and more. You can also find significant amounts of pollens, dust, molds, fungus and bio-fluids in your bedding. SecureSleep™ protection keeps these problems away from you and your respiratory system!